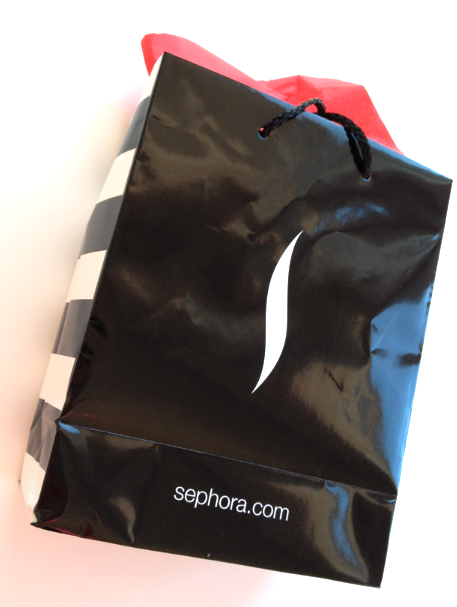 There is one thing I buy at Sephora, more than anything else. It's the one thing I've told my aunt, my sister or anyone that has a Sephora gift card and asks what they should buy! And I will say that you put this on your face and neck and you almost don't even need make-up! You just look tan and awesome! I'm not even joking- not orange oompa loompa face either! But I'm back in tan, baby!!! And the second thing I'd tell you to get at Sephora would be either a pair of tweezerman tweezers or an eyelash curler! Agreed. St. Tropez is the best!! The mitt does open. I thought the same thing at first the black side sticks shut. 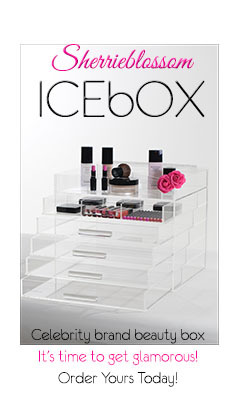 Kandee, I got the same thing at Sephora on Wed. The mitten- it does work. U can put your hand in there!!! I thought u can't also, and half way through tanning myself I realized that there is an opening for your hand to go in, lol. It's awesome, my first time using it, and I love it!!! oh yay! I am always pale and never like tanning products I've tried so far, i love a good recommendation from you! thank you! now i want to go to Sephora like yesterday! you rock Kandee! Are you liking it better than the Sun Lab product you used in your old video? Does the St. Tropez have the stinky self tanning smell? I can't stand that smell. I gag even when I smell it on other people. The smell stays with you until it completely wears off. I'd like to try this but I need to someone to tell me if it has a smell. I don't care how faint it is I can't take it. I love it! I tried it last night and I asked you to do a tutorial on facebook! I have a few splotches but I'll put another "coat" on lol! I am a new Kandee fan and I check your pages often! I first came along your videos from one of your early cutting teeshirts! I think you are great and keep up the good work my dear!!! It's my favorite self tanner too! Did you know they have a new Dark formula? I like the mitt too, not sure if I have an old or new one. Kandee That the bronzer is the best advice you've ever given And some of the best money I've ever Spent! Can you give advice on the right pencil sharpener for the urban decay soft eyeliners, I keep ruining the tips because they are so soft what is the trick?? Can you please do a tutorial on self tanning please. Im so pale that you could say im translucent. Ha ha. Thank you so much for all the tips amd tricks. I just bought some on Friday and I LOVE IT! I also bought the mit and almost threw it away, but I'm glad I didn't now that I've read the other posts. Even my husband kept saying, "That stuff really worked!"